Tips for Helping Your Parent Use Online Auctions Safely - All Care Hawaii. LLC. Online auctions are a fantastic way for your parent to enjoy shopping from the comfort of their own home. For seniors who are suffering from mobility issues, lack of transportation, and other issues that might prevent them from being able to go out and shop, these auctions can give them a greater sense of independence and allow your parent to shop for gifts and items that they need in their home. In order for your parent to enjoy these properly, it is important that your parent use these auctions safely and avoid serious consequences such as fraud and theft. If you have been looking for a way to enhance your parent’s quality of life, fill care gaps that might exist in the efforts that you give them, and support a more active and fulfilling lifestyle as they age in place, starting elder care for them might be the ideal solution. 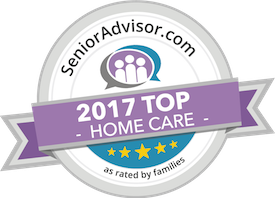 With the ability to create a customized schedule that means they will be with your parent when your parent specifically needs them, an elderly home care services provider is a fantastic supplement to the care that you already give your aging parent. Highly personalized services, companionship, and valuable support mean that your parent can continue to live a life that is as independent as possible even when dealing with challenges and limitations. Some of these services can include transportation, assistance with activities of daily living, physical mobility support and assistance, and companionship and activities to boost their mental and emotional health and well-being. Have questions about hiring home care services in Kahala, HI? Contact the caring staff at All Care Hawaii today. Call us 24 hours a day, 7 days a week!